The Foundation is once again organizing a fundraising event to be held at the Dakota Western Heritage Festival in September. 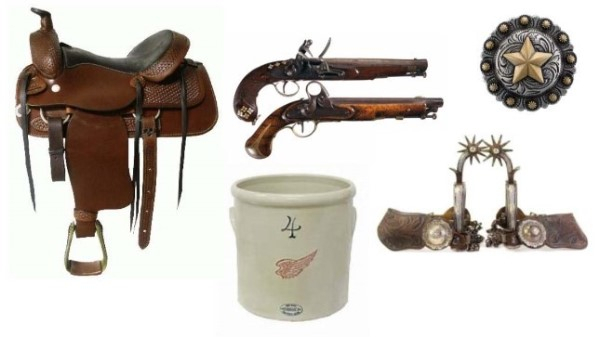 We will hold the Western Collectibles Auction after the steak feed on Friday evening. 100% of the proceeds will support the great work of the South Dakota State Historical Society supported by the Foundation. We need your help! 1. Help us to collect items for the auction. We would like to have approximately 30 “select” items, $500 - $1000+ value, donated for the auction. If you know individuals who have Western or Native American collectible items, that you feel would be a nice addition to the auction, please ask them to donate or provide their contact info to me. 2. Consider donating an item from your collection. Do you have anything you would like to donate? If you have questions about potential donations, please give me a call, I would be happy to hear what you have. 3. Bring buyers to the event. Help to spread the word and bring buyers to the event.